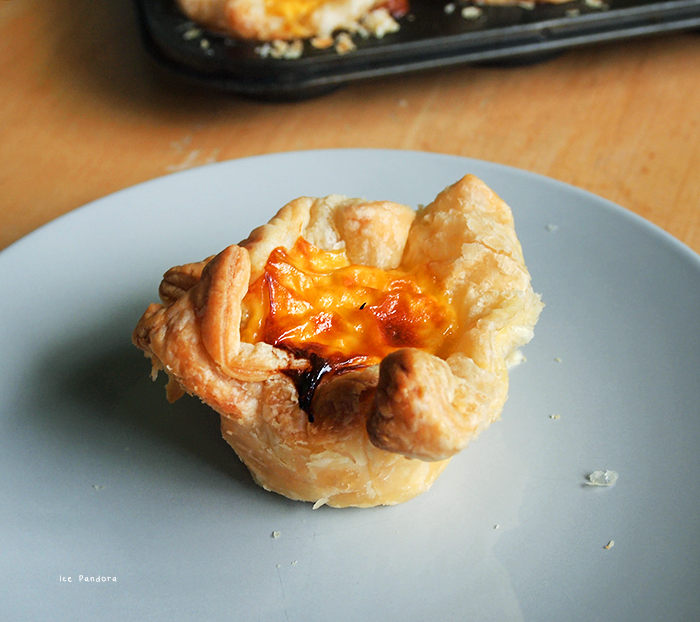 Having a‘cheat’ food day every now and then is fine, same goes with ‘cheating’ on a recipe like this egg tart recipe! Making egg tarts itself is not hard but it can take much time of your precious day especially when you make the crust all from scratch. I was craving for egg tarts lately but I was feeling too lazy and had no patience to make the crust since the crust dough needs 30 min of resting as well. Then the solution of puff pastry sheets came by! I saw this at a cooking blog (sorry forgot who) awhile ago and I thought replacing the crust by ready made puff pastry is a brilliant idea! Now the crust being replaced with puff pastry all you need to do is take care of the egg filling itself which is easy because basically you mix everything with a whisk and done! 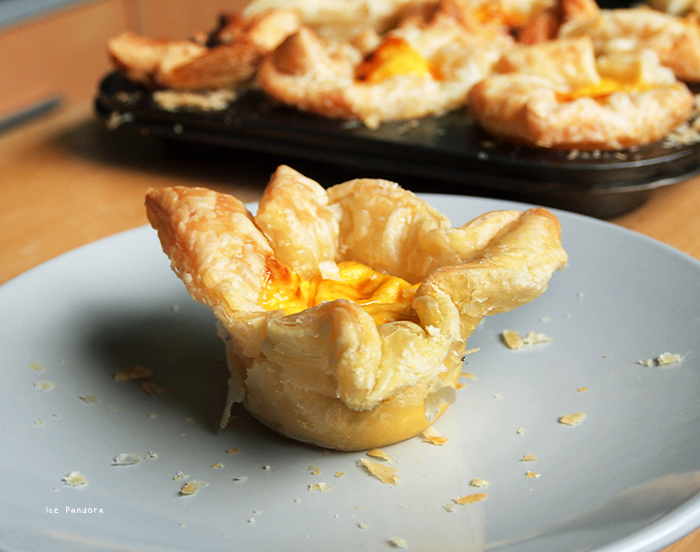 If you're hungry and want to eat bad good food or you are hosting a party soon, try these easy sweet egg tarts! Gezond eten en zo nu en dan een 'cheat' dag hebben is mijn beleid van balans en genieten van het leven en hetzelfde geld ook voor recepten volgen zoals met dit eiertaartje recept! Het maken van eiertaartjes zelf is helemaal niet moeilijk hoor! Alleen het kan wat aardig wat tijd kosten. Al helemaal wanneer je het korstdeeg zelf maakt. En laatst had ik zo, n enorme trek naar eiertaartjes maar ik was jammer genoeg te lui om dat korstdeeg te maken en daarnaast had ik ook geen geduld omdat je het deeg ook 30 min. moet rusten. Gelukkig bestaan er oplossingen en wonderen in de wereld zoals kant-en-klare bladerdeeg! Ik zag dit ooit bij een kookblog (ik weet niet meer wie, sorry) en diegene kwam met het idee om het korstdeeg gewoon met bladerdeeg te vervangen! Briljant toch? Nu het korstdeeg probleem opgelost is hoef je alleen nog maar je ei vulling te klaren en dat is zo gebeurd, want in principe mix je alles bij elkaar tot een prutje! Mocht je trek en/of een feestje opkomst hebben, probeer deze zoete eiertaartjes uit! 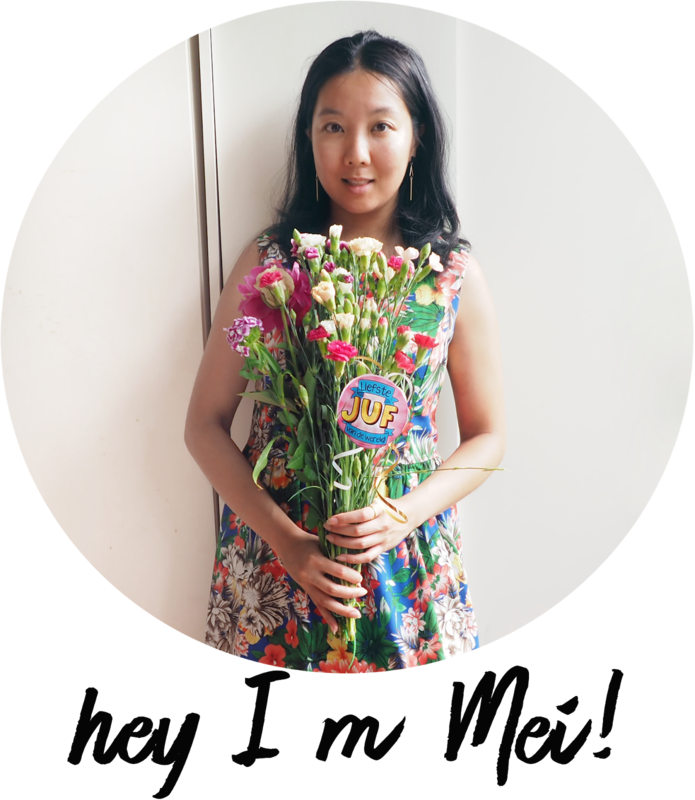 Also, thanks for liking my previous DIY! Cheers! 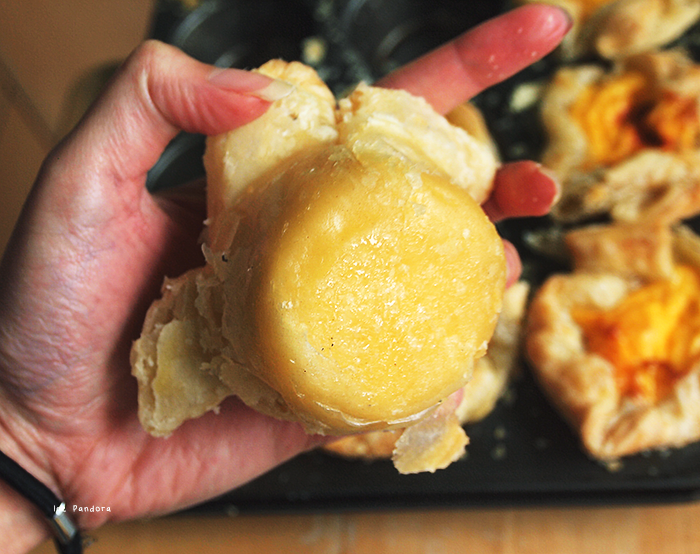 Pre-heat oven to 190°C degrees, grease a muffin bake tin with oil or butter and defrost the puff pastry! 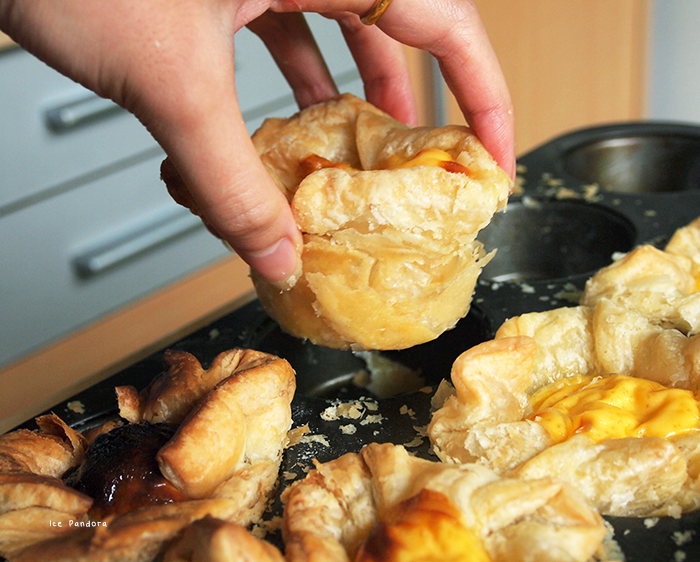 Cover the inside of the muffin tin with 1 puff pastry sheet. 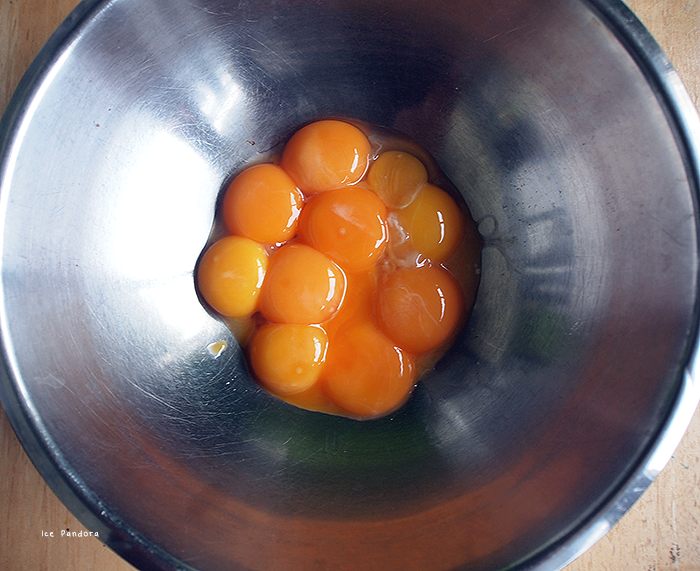 Beat yolk + sugar until creamy than add in the rest of the ingredients and combine everything well with whisk! 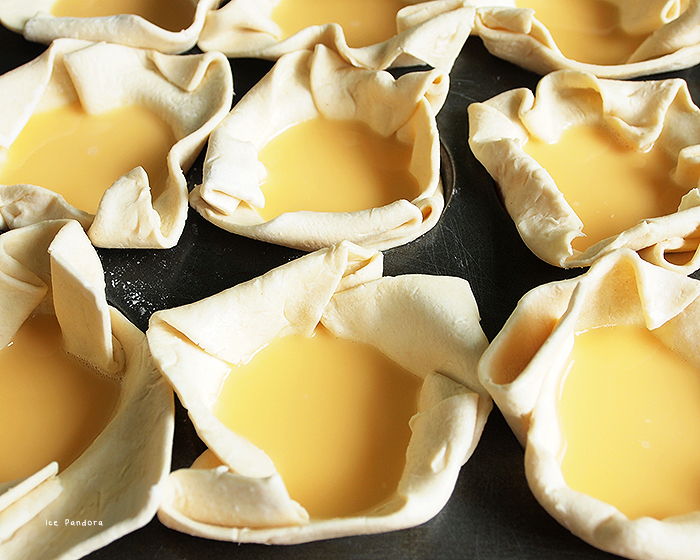 Pour the egg mixture into the pastry cups for about 80% full. 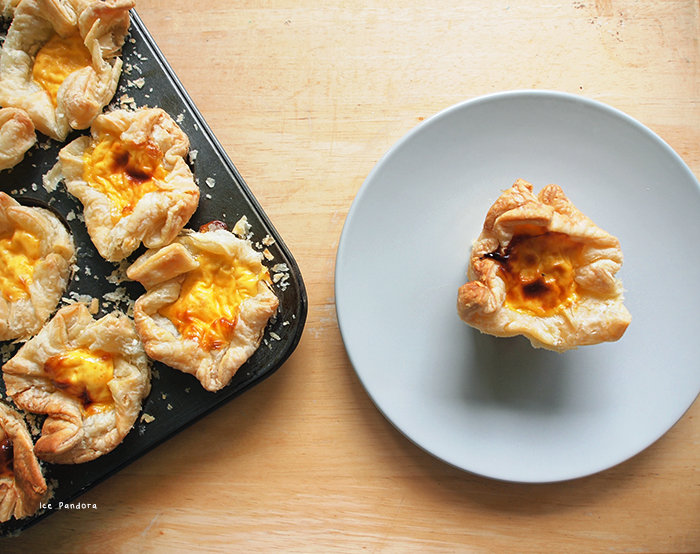 Bake the egg tarts for about 20 min in the oven or until the crust is all golden brown. Take it out and let it cool off a bit and serve! Wow this is looking so delicious ! Ahhhhh, these look sooo good! I love egg tarts, they are actually very very very popular in singapore/malaysia. 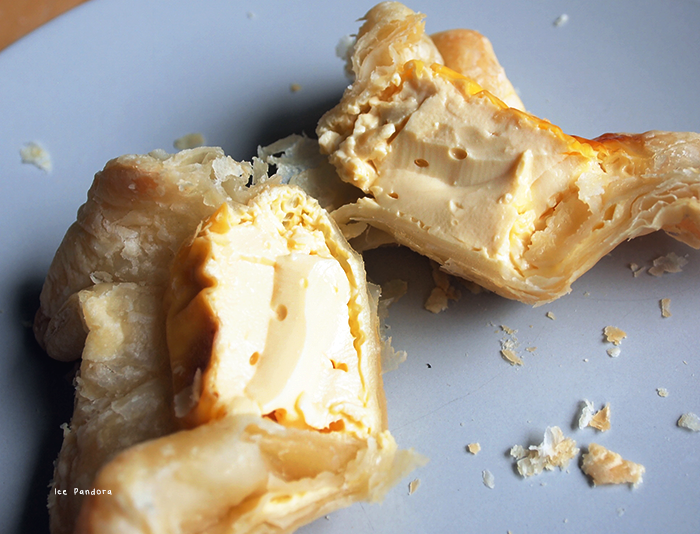 The dutch recipe with the flaky butter or pie tart shell! I would love to give these a go! Love this shortcut! I made dan tat all from scratch a few months ago and it turned out pretty great, so satisfying, but yeah, it took sooo long that I've not made it again! My favourite "recipe" with puff pastry is palmiers, which is about as easy as making a sandwich!! 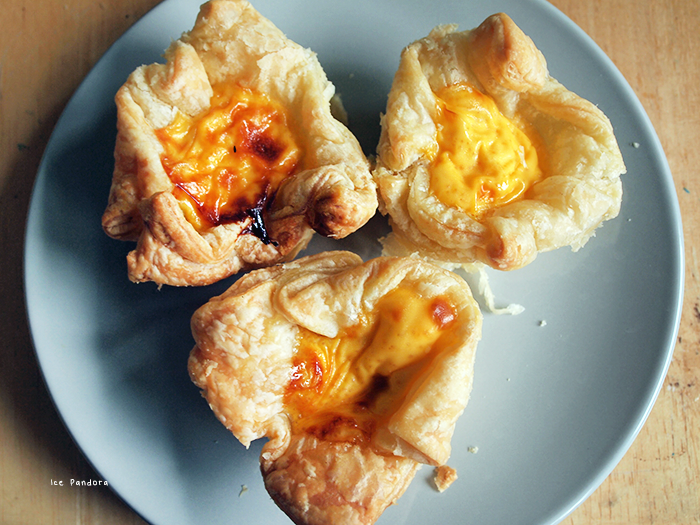 Oh man, I didn't know egg tarts were made from yolks LOL they're one of my favorite foods! I've never actually tried egg tarts, haha oops! 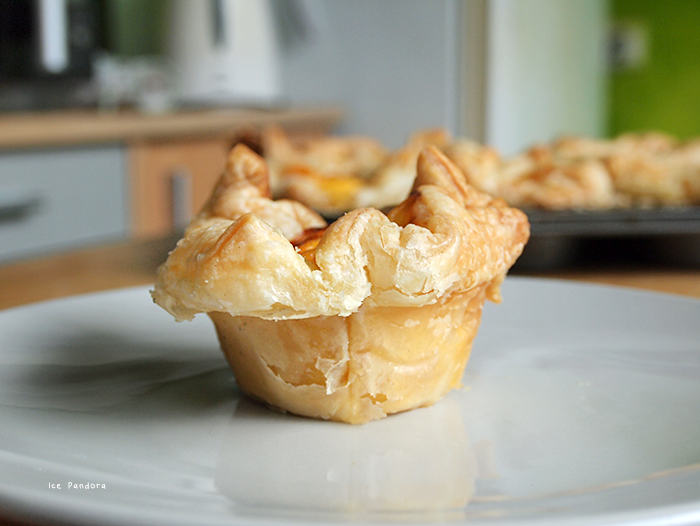 Nifty trick with the puff pastry though! Ohh yumm, you're getting me so hungry. 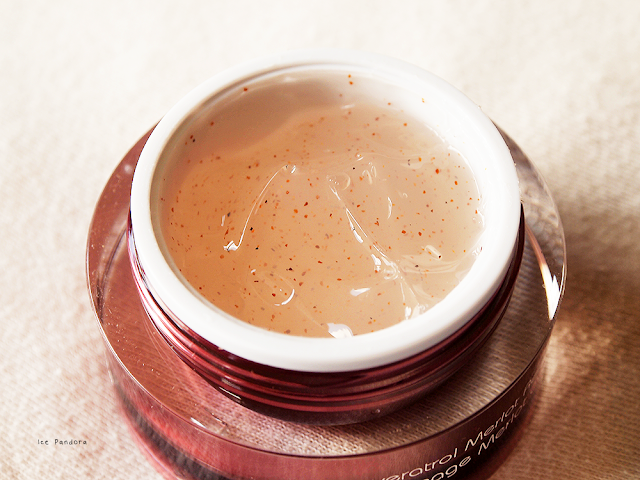 And this tut is really simple~! 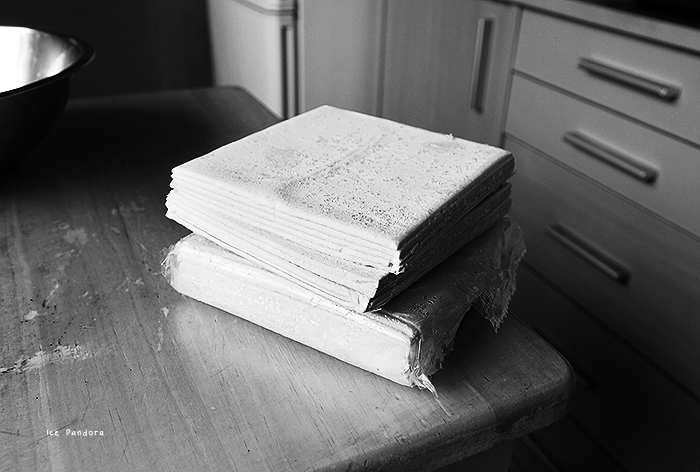 I hope I have some premade pastry sheets in the freezer! Yumm! 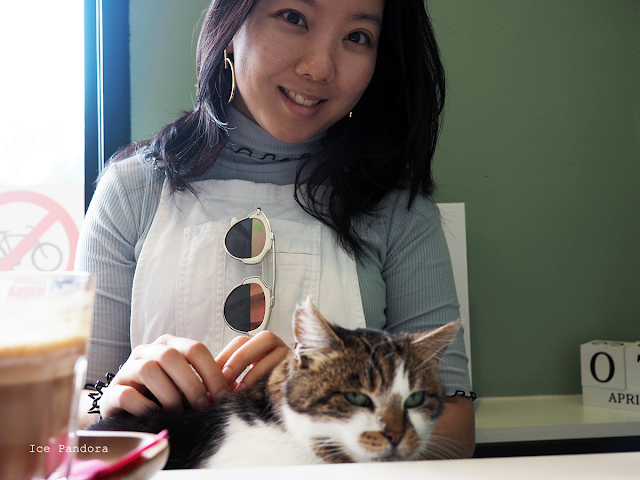 I realize with your recipes that I have lots of things yet to taste! :) Never tried this delicious looking "bad good food" (smiling with your comment!) but it's seems easy enough so my poor baking skills couldn't ruin it! Lekker die eggtarts, ik mis ze! looks so good! i like a little cheat here and there :) makes the process that much more faster!